Our goal is to provide all of our customers with a thorough education about the property in which they are considering investing. In order to do this, we hope that you will accompany us throughout the inspection. We will examine the exterior and interior of the home to check for possible moisture intrusion, deteriorated materials, delayed maintenance and any possibly unsafe conditions. We will explain the maintenance that the home may need immediately and what will be needed to keep it in good condition. We will examine the mechanical systems, such as the heating and cooling, plumbing, and electrical, and check for proper operation. We will describe each of these to let you know what the age and condition of the systems is in and what maintenance is needed. When we have finished the inspection and any questions that you have are answered, a report describing the property and it’s condition will be furnished to you. This report is also available in electronic format. 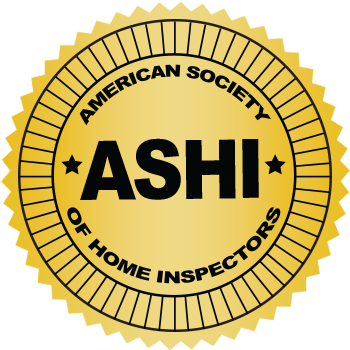 Take the ASHI Virtual Home Inspection Tour now to find out more about the home inspection process. 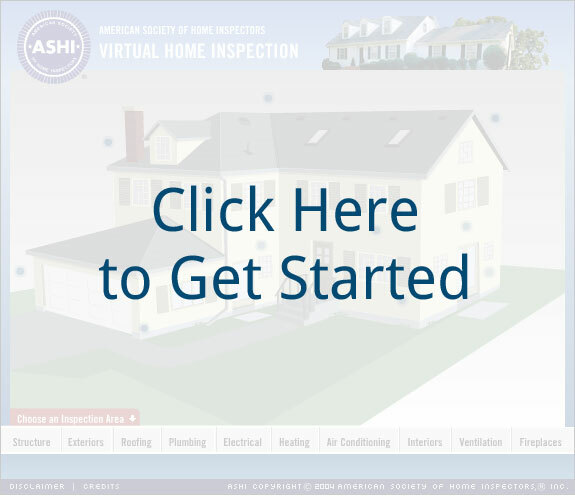 Learn about common problems discovered during home inspections through this virtual home inspection. NOTE: Please make sure the sound on your computer is turned on so you can fully participate. Our reports include descriptive information about all the major systems and components of the home. There is information about maintenance requirements of the home, as well as information on care and general system upkeep. 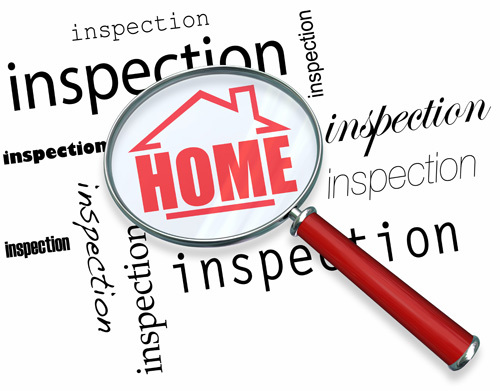 We feel that a good home inspection should provide you with more than just a list of problems, but also address how to avoid problems in the future. Download the Sample Inspection Report Now!